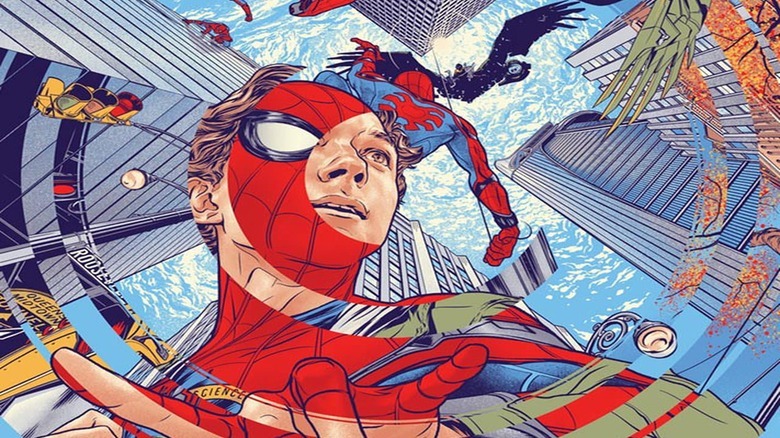 Peter Parker has officially joined the Marvel Cinematic Universe (MCU) with his first solo film as a member of the studio's sprawling blockbuster franchise, and though Spider-Man: Homecoming wraps its plot up pretty well, the wall-crawler's latest adventure still leaves a lot of questions dangling out there unanswered for the next few Avengers films — and Peter Parker's next standalone adventure, which is due to arrive in theaters in 2019. In fact, whether you're a casual fan, a first-time viewer, or a longtime comics enthusiast with a solid grasp on the decades of history that inform Marvel's movies, you were bound to exit Homecoming wondering a few things. We've rounded up all the biggest unanswered questions in Spider-Man: Homecoming—and from the ways in which some choice Easter eggs might play out to a few future possibilities teased in the after-credit scenes, we've broken them all down for your reading pleasure right here. 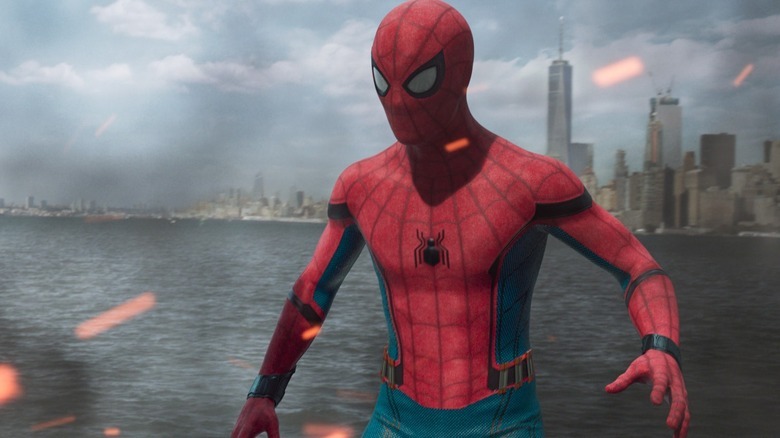 ​Does the MCU's Spider-Man have Spider-Sense? We get to see Tom Holland's version of Spider-Man use a lot of his familiar superpowers, but one thing we don't see is his spider-sense—and as it turns out, there's a reason. 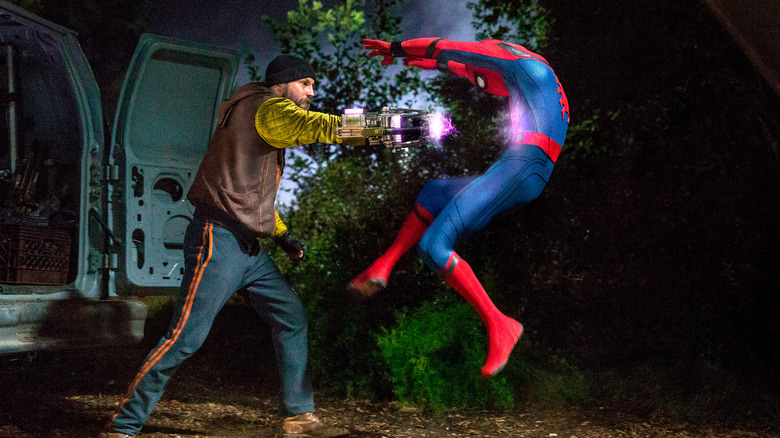 Previous films have used effects like bullet time and slow motion to portray Spider-Man's ability to sense danger before it arrives, and while we see Holland's Spider-Man capable of dodging punches and getting ahead of villains, we never see it portrayed with effects work. Marvel's Kevin Feige told IGN he believes this version of Spider-Man definitely does have a Spider Sense, even if it's not explicitly displayed onscreen. Since we've already seen that portrayed a few times already, Feige said they wanted to make it more of an "internal, sort of second nature thing for him" when bringing Spidey into the formal MCU. This doesn't mean spider-sense will remain completely unexplored. Feige said they do plan to tackle it in future films, so we might see a bit more in the next two Avengers films and the eventual Homecoming sequel. Just don't expect any Matrix-style bullet time. So how will Aaron Davis and Miles Morales fit into all of this? One of the most intriguing secrets surrounding Spider-Man: Homecoming was the surprise casting of Donald Glover (Atlanta, Community) in an undisclosed role. They actually kept it under wraps until press screenings rolled around, when it was revealed Glover portrays Aaron Davis—a name that should definitely be familiar to comic fans. 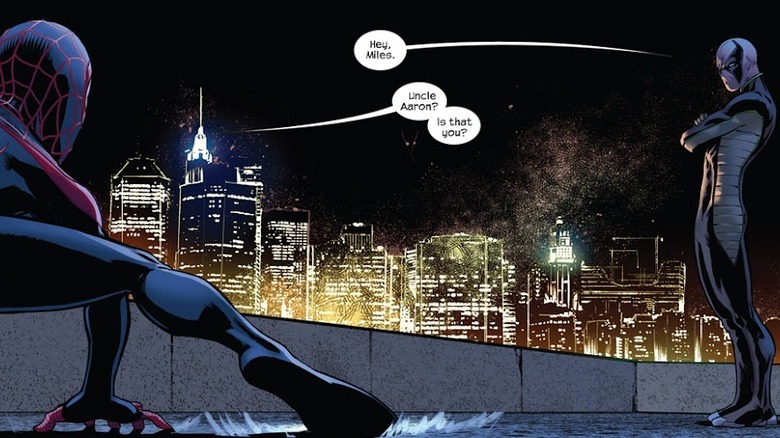 Davis is the uncle to Miles Morales, a character who eventually takes up the mantle of Spider-Man in the Ultimate Universe after Peter Parker's death (he's since joined the "prime" Marvel Comics universe as a full-fledged Spider-Man alongside the "prime" version of Peter Parker). As for the MCU, Glover's Davis does tease that he has a nephew living in town, which is why he doesn't want the alien weapons on the streets. That's clearly a reference to Miles. A lot of the MCU took inspiration from the Ultimate Universe in the comics, so could the studio be threading Miles into the MCU? It's doubtful they'd kill off Peter Parker (especially considering the character is on loan from Sony), but a trilogy down the line, it would be the perfect way to keep the franchise fresh and part of the MCU, right? ​So did Pepper and Tony get engaged? It was a bit of a throwaway joke, but did Tony Stark and Pepper Potts actually get engaged at the end of Homecoming? When Peter turns down Tony's invite to formally join the Avengers—which totally wasn't a test, and was a real invitation—they start scrambling to come up with an announcement to give all the reporters who'd assembled for Spider-Man's introduction. Happy whips out a wedding ring, noting he's been holding onto it since 2008 (for those keeping score, that's when the Marvel Cinematic Universe began), and tosses it to Tony as he and Pepper disappear into the press room. We're left wondering: Did Tony actually pop the question? If he did, that's one heck of a Tony Stark bombshell to sneak into a Spider-Man movie. ​How does that MCU timeline work again? The longer it goes, the more the MCU begins to resemble the comic book universe that inspired it. Case in point: The passage of time is starting to get very, very wonky. If you were watching closely, you noticed that Spider-Man: Homecoming featured an eight-year time jump, between Adrian Toomes' (Michael Keaton) company salvaging debris after the Battle of New York featured in The Avengers to the present day. The only problem? The Avengers was released in 2012, which means if Spider-Man: Homecoming is set eight years later, it actually takes place in 2020. Which makes even less sense when you consider Spider-Man: Homecoming is set not long after Captain America: Civil War. It's okay to be confused. The most likely explanation? The passage of time is starting to work more like the comics, where it becomes a bit more malleable and fuzzy as the years go on. Many of Marvel Comics' heroes are still relatively youngish and in the prime of their lives, even though they still reference life events that took place in the '60s, '70s, and '80s. As the MCU rolls on, it's going to get harder and harder to keep those dates pinned down in a way that makes sense. It'll be interesting to see if this is the first step in just letting it get a bit messy so long as it serves the story well. ​How will Aunt May knowing Peter's secret identity change things? It was played for a laugh as the credits roll, but Spider-Man: Homecoming ended with a major reveal that we've never seen in the Spider-Man movies: Aunt May knows Peter is Spider-Man, and she's pissed. For comics fans, it probably wasn't a surprise; May in the Ultimate Universe eventually found out Peter's secret, but there will almost certainly be some fallout in future films. As Stark points out, he's just a teenager, and May is certainly within her rights to ground him from any and all superhero-ing. Before Peter faces off against his next bad guy, he'll have to get through Aunt May first. 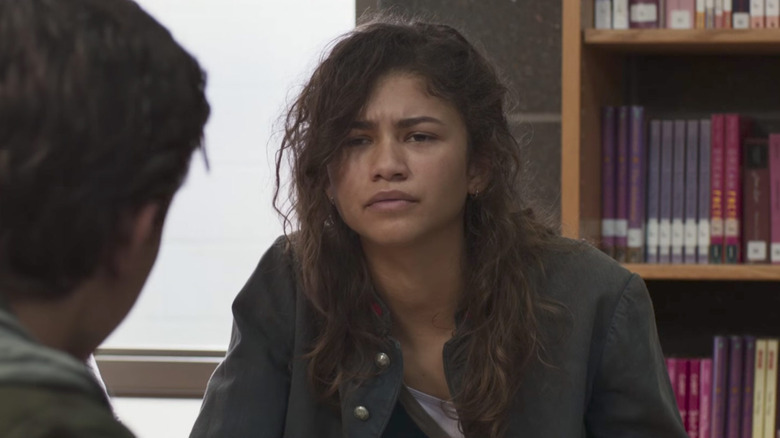 ​So is Zendaya the MCU's version of "MJ"? There were lot of rumors about Zendaya's role in Spider-Man: Homecoming, with pretty much all of it centered around whether she'd be playing frequent Peter Parker love interest Mary Jane—a theory that turned out to be false. Mostly. Zendaya played a loner by the name of Michelle, but it's revealed at the end of the film that "her friends call her MJ." Which is, obviously, the frequent nickname of Mary Jane. It's also worth noting Peter and Michelle share a bit of a glance in that moment, however fleeting. So will she fill the Mary Jane role in the MCU version of the Spider-verse? Right now, we don't know, though it's important to remember it wouldn't be the first supporting player Marvel has shaken up along the way. The typical jock Flash was reframed as a rich kid played by Tony Revolori, who is less of a jock and more of a stuck-up brat. With Flash already seeing changes, the MCU version of "MJ" is ripe for a reimagining. ​Could this plant the seeds for that Damage Control TV series? 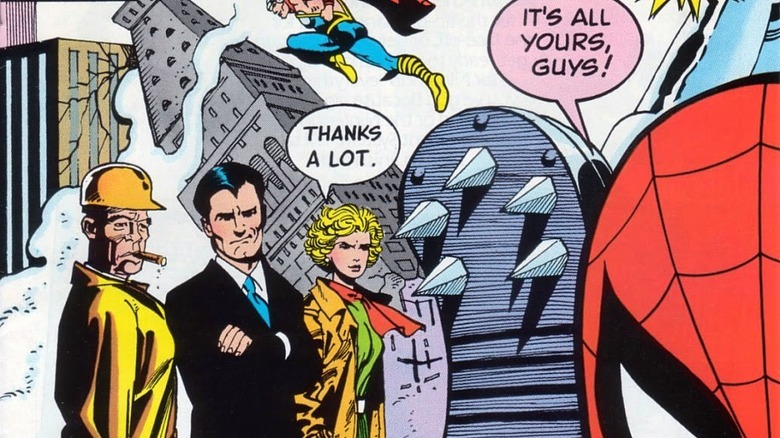 Marvel has been kicking around plans to turn the franchise Damage Control into a TV series for a few years. It's apparently stuck in development hell at this point, but Spider-Man: Homecoming gave us our best look yet at the government agency tasked with cleaning up after all the alien invasions and Avengers missions. We even get a look at Tyne Daly playing Anne Marie Hoag, the leader of the company in the comics. If nothing else, this is by far the biggest showcase for Damage Control on the big screen, and who knows, it could help kickstart that TV series once again. 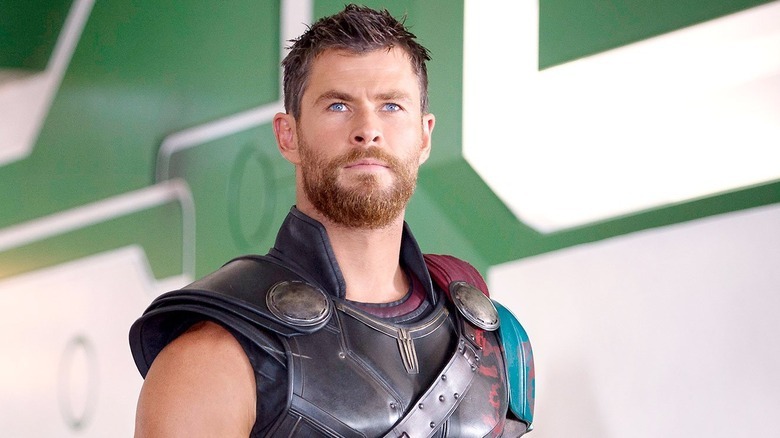 Will we see Thor's magic belt in Avengers: Infinity War? Sometimes an Easter egg is just an Easter egg, and sometimes it's a setup for something bigger. This one could go either way. Happy Hogan revealed that he's packing up Thor's "magic belt" during the big move to the new Avengers headquarters upstate. Happy has a bit of trouble pronouncing the item's name, and for good reason—he's talking about Megingjörð. The belt is a key piece of Thor's arsenal from the comics, and basically gives the already super-powered god even more strength in combat. Who knows? Maybe he'll make a pitstop by the new Avengers HQ and pick it up. Will the Vulture come back into play? 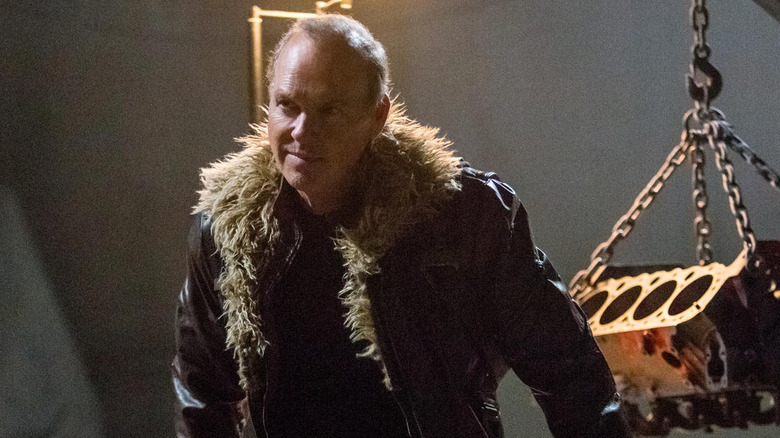 He's not a world-destroying A-lister, but Michael Keaton's Vulture is easily one of the most memorable and menacing baddies in the MCU. So could we see him again? It certainly seems possible. The first post-credits scene finds Adrian Toomes in prison, being asked about Spider-Man's secret identity. We know he knows it, but he decides to keep Peter's secret—at least for now. The real question is why? Is Vulture showing loyalty to Spider-Man after Spidey saved his life, or is he playing it close to the vest to plot his own revenge when he eventually escapes or is released down the line? We'd be surprised if we've seen the last of Toomes. Will Spidey get to face off with Scorpion? He didn't get much screen time or attention, but keen-eyed fans likely noticed the Scorpion's introduction. Remember the character Toomes meets on the Staten Island Ferry as part of his weapons deal—and gets tossed off the boat by Spidey? That's Mac Gargan, played by Michael Mando. 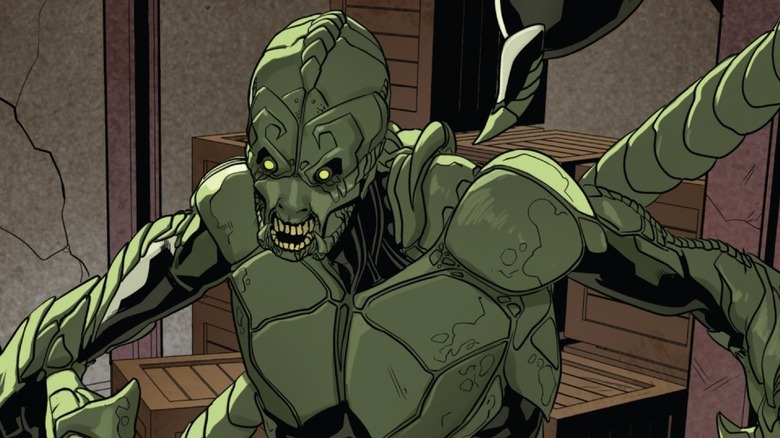 In the comics, Gargan is better known as the Scorpion, a villain who's tussled with Spider-Man a lot over the years. Gargan even pops up again in the post-credits scene, vowing vengeance on Spidey. With Marvel Studios keen to use lesser-known villains in its run of Spider-films, the Scorpion is one of the most obvious contenders on the list. His suit would make for some amazing fights on the big screen, and he's a character who could definitely be expanded. Who else might be on this new-look Avengers roster? The story wraps up with Tony Stark attempting to introduce Spider-Man as the newest addition to the revamped Avengers roster (complete with a sweet new suit), but Peter decides he's not quite ready and wants to be a Friendly Neighborhood Spider-Man for a bit longer. Even though Spidey declines, this still makes it clear that Stark is the guy running the show for the Avengers (since Cap and his rogue team are still on the run in the wake of Captain America: Civil War). 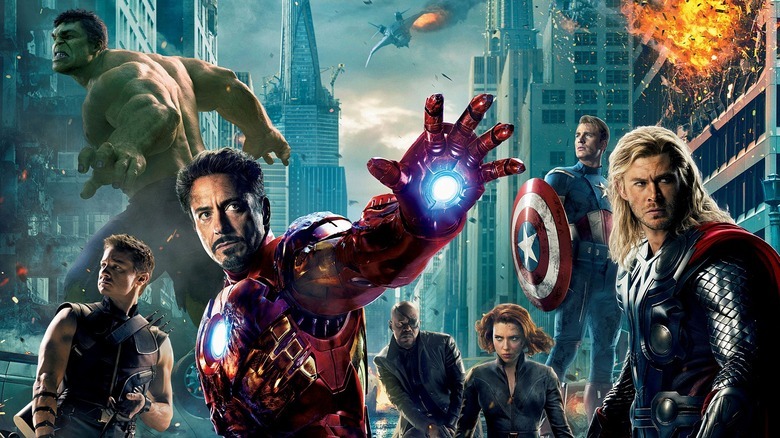 When will Spider-Man join the Avengers? Though he turned Stark down in Homecoming, Spider-Man has been a key player in more than a few Avengers rosters (heck, even Miles Morales' Spider-Man recently had a stint on a revamped Avengers team). You know he'll eventually take the plunge to become one of Earth's Mightiest Heroes. We already know he'll be back in Avengers: Infinity War, but that doesn't mean he'll officially be on the team. The reason? Marvel really wants to let Peter keep being a kid for awhile, and there's buzz the Homecoming sequel will still see him kicking around high school. Calculus is tough enough without working in Avenger duty on top of a college prep course load. Seriously, how many of those videos did Captain America make? 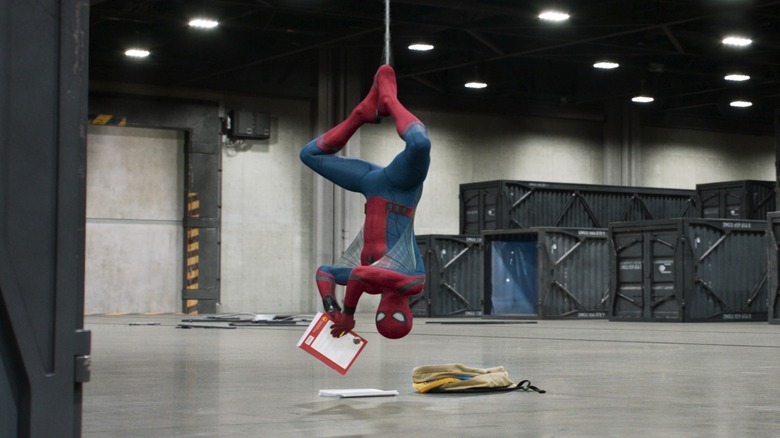 Director Jon Watts pulled off one of the funniest Marvel post-credits scenes to date with the final scene in Homecoming, which featured Captain America in a low-budget, school film-style video talking about patience and dealing with the disappointment of not getting what you want after a wait (like a tease for Avengers: Infinity War). Instead we get Cap, making it clear the movie is over and we'll have to wait until (at least) Thor: Ragnarok for something juicy. 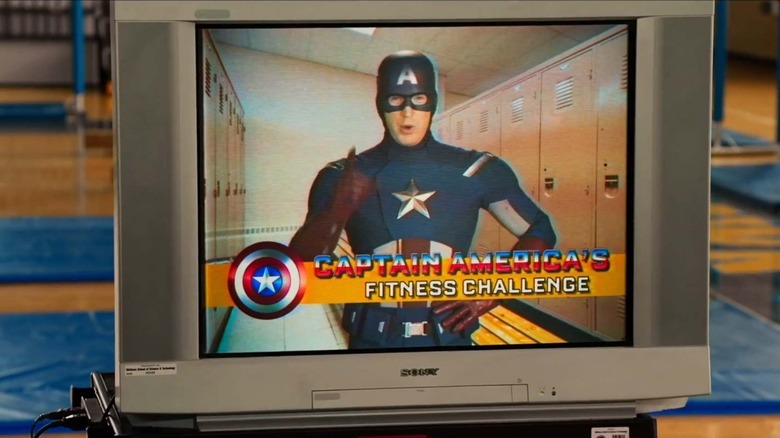 The Captain America videos were a running gag through pretty much the whole film, to hilarious effect—but seriously, how many of these did Cap make?